You’ve heard of Roald Dahl, haven’t you? He wrote Charlie and the Chocolate Factory and James and the Giant Peach as well as several other popular children’s books. He also wrote movies for a brief period of time in the 1960’s. 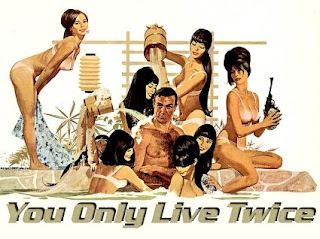 As a matter of fact, he wrote the screenplay for the James Bond film You Only Live Twice. I was reminded of this while reading this article about a movie memorabilia auction where Dahl’s handwritten screenplay for the film sold for more money than a first edition of the novel inscribed by Ian Fleming. Dahl also wrote the screenplay for Chitty Chitty Bang Bang. Now that seems to make a lot of sense, really. More his milieu. What makes less sense of course is that Chitty Chitty Bang Bang was also based on an Ian Fleming novel and produced by Bond producer Albert “Cubby” Broccoli. 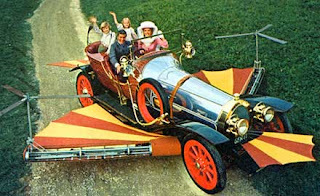 I’ve never seen Chitty Chitty Bang Bang. Does it start with half naked women dancing around under the opening title sequence? 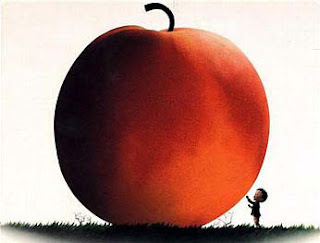 I hear Dahl wanted to call You Only Live Twice, You Only Live Twice in a Giant Peach Factory. Albert Broccoli wanted to call Chitty Chitty Bang Bang… wait, that already sounds like it could be a Bond title.